You can imagine the dreadlocks or countless exquisite haircuts sported by youths that have been trending with stylists and barbers world over, but few will beat Murewa’s Marufu. Mankind has been given many expressions of art and a lot have become their identity. Hairstyles too have modelled identities around the world. Tanaka from Murewa has gone an extra mile to promote the trend even as some debate whether his hairstyle is “trendy” or “ridiculous”. But never mind the court of public opinion, Tanaka Marufu’s hairstyle – sticks out almost every day resembling different artefacts. From a distance, the 20-year-old man from Chivhinge Village in Murewa West looks like someone sporting a cap, but as he gets closer you realise that it is, in fact, a hairstyle. 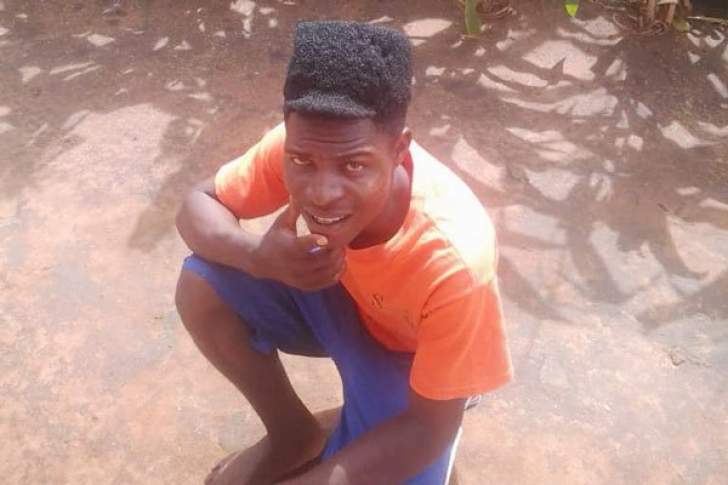 You can think of the famous Mohawk or the trending Tapper Fade style, Marufu’s style has become a trademark for him, and it is easy to locate him as he has become a village celebrity among the rural folk. “I just love to be unique, this style has endeared me with my community. I have become popular because of it. I am a dancehall artiste, I do sometimes perform at schools in this area and my fear is the young boys would imitate my style,” he boasted. Marufu, who is also known as Tanaka Tee by his friends and those who follow his music back in the village, is married and says his wife is happy with his looks. “I met my wife when I already had this hairstyle and she accepted it. I am a Zimdancehall artiste and you know what it is like,” he said. Marufu spends more time in front of the mirror than his wife. He revealed that it takes close to an hour for him to come up with the “cap-like hairstyle”. “It is not easy to shape my hair like what most people think. It takes close to 40 or 50 minutes. I want people to know that there is no barber’s magic behind the style, I do it myself. After bathing, i do not dry my hair. I will then use my combs and pat it to come up with this. The magic is on repeated combing and patting. The hair will dry in the process,” revealed Marufu. This paper also met Marufu’s barber Ignatius Kuimba, who operates at a shopping centre known as PaCross, who confirmed that he has nothing to do with the style apart from trimming. “Tanaka has his own style. I only trim the hair, but the style is not of my making. The good thing is that he has a rare type of hair that is firm and shapes up easily. The boy has a distinct appearance,” said Kuimba. Being the fourth born among 14 children, Marufu says both his parents are not bothered by the hairstyle. In fact his mother currently wears dreadlocks. Meanwhile, the artiste is appealing to well-wishers to assist him on recording his second album. “There is no activity in this rural area, there is no money for me to record my second album in Harare. I have an eight-track album to my name that I recorded at Ice B’s Studio. I need to do more, but I have no funds to do so,” he said. Ice B is a producer who owns a studio at PaCross in Murewa where most dancehall artistes from nearby villages converge and share the little studio to record their songs. The songs are later shared and distributed via social media platforms mainly WhatsApp to reach the intended audiences in the villages. However, it is Marufu’s hairstyle that leaves many wondering about his state of mind. . He might not be known by his name, but he can be located by the description of his hairstyle that has turned him into a village celebrity. Since 2015, he has been sporting the haircut that he is yet to name and, who knows, it might be adopted by the urbanites – that is if it finds admires.